(B) Changes to Terms of Service. EDM-TV.com may modify the Terms of Service, or any part thereof, or add or remove terms at any time, and such modifications, additions or deletions will be effective immediately upon posting. Your use of the Site after such posting shall be deemed to constitute acceptance by you of such modifications, additions or deletions. (C) Changes to Site. EDM-TV.com may change or discontinue any aspect, service or feature of the Site at any time, including, but not limited to, content, hours of availability, and equipment needed for access or use. The following terms apply to content submitted by users, and user conduct, on the Site’s Interactive Areas. (A) Interactive Areas. The Site may contain comments sections, discussion forums, or other interactive features in which you may post or upload user-generated content, including but not limited to comments, video, photos, messages, other materials or items (collectively, “User Content”). You are solely responsible for your use of any Interactive Areas and you use them at your own risk. Interactive Areas are available for individuals aged 13 years or older. By submitting User Content to an Interactive Area, you represent that you are 13 years of age or older and, if you are under the age of 18, you either are an emancipated minor, or have obtained the legal consent of your parent or legal guardian to enter into these Terms of Service, submit content, participate on the Site, and fulfill the obligations set forth in these Terms of Service, which forms a binding contract between you and EDM-TV.com. is protected by copyright, trademark, trade secret, right of publicity or other proprietary right without the express permission of the owner of such copyright, trademark, trade secret, right of publicity or other proprietary right. The burden of determining that any User Content is not protected by copyright, trademark, trade secret, right of publicity or other proprietary right rests with you. You shall be solely liable for any damage resulting from any infringement of copyrights, trademarks, trade secrets, rights of publicity or other proprietary rights or any other harm resulting from such a submission. Any person determined by EDM-TV.com, in its sole discretion, to have violated the intellectual property or other rights of others shall be barred from submitting or posting any further material on the Site. You agree that any person who appears in your submission who is a current member of the Screen Actors Guild (SAG), the American Federation of Television and Radio Actors (AFTRA) or any other rights society is not entitled to compensation by EDM-TV.com. 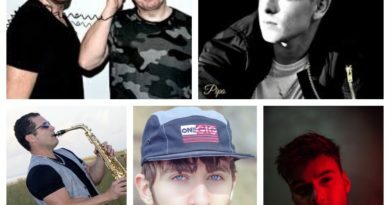 You agree not to impersonate any person or entity, including, but not limited to, EDM-TV.com or any EDM-TV.com employee, or falsely state or otherwise misrepresent your affiliation with any person or entity. You agree not to represent or suggest, directly or indirectly, EDM-TV.com’s endorsement of User Content. Any conduct that in EDM-TV.com’s sole discretion restricts or inhibits anyone else from using or enjoying the Site will not be permitted. EDM-TV.com reserves the right in its sole discretion to remove or edit User Content by you and to terminate Your Account for any reason. EDM-TV.com does not vouch for the accuracy or credibility of any User Content, and does not take any responsibility or assume any liability for any actions you may take as a result of reading User Content posted on the Site. Through your use of Interactive Areas, you may be exposed to content that you may find offensive, objectionable, harmful, inaccurate or deceptive. There may also be risks of dealing with underage persons, people acting under false pretense, international trade issues and foreign nationals. By using Interactive Areas, you assume all associated risks. (C) Monitoring. EDM-TV.com shall have the right, but not the obligation, to monitor User Content posted or uploaded to the Site to determine compliance with these Terms of Service and any operating rules established by EDM-TV.com and to satisfy any law, regulation or authorized government request. Although EDM-TV.com has no obligation to monitor, screen, edit or remove any of the User Content posted or uploaded to the Site, EDM-TV.com reserves the right, and has absolute discretion, to screen, edit, refuse to post or remove without notice any User Content posted or uploaded to the Site at any time and for any reason, and you are solely responsible for creating backup copies of and replacing any User Content posted to the Site at your sole cost and expense. The decision by EDM-TV.com to monitor and/or modify User Content does not constitute nor shall it be deemed to constitute any responsibility or liability in any manner on the part of EDM-TV.com in connection with or arising from use by you of Interactive Areas on the Site. (D) License to User Content. By submitting User Content to the Site, you automatically grant EDM-TV.com and its parent company, Hammarica.com LLC the royalty-free, perpetual, irrevocable, non-exclusive right and license, but not the obligation, to use, publish, reproduce, modify, adapt, edit, translate, create derivative works from, incorporate into other works, distribute, sub-license and otherwise exploit such User Content (in whole or in part) worldwide in any form, media or technology now known or hereafter developed for the full term of any copyright that may exist in such User Content, without payment to you or to any third parties unless otherwise agreed to in EDM-TV.com’s sole discretion. You represent and warrant to EDM-TV.com that you have the full legal right, power and authority to grant to EDM-TV.com the license provided for herein, that you own or control the complete exhibition and other rights to the User Content you submitted for the purposes contemplated in this license and that neither the User Content nor the exercise of the rights granted herein shall violate these Terms of Service, or infringe upon any rights, including the right of privacy or right of publicity, constitute a libel or slander against, or violate any common law or any other right of, or cause injury to, any person or entity. You further grant EDM-TV.com the right, but not the obligation, to pursue at law any person or entity that violates your or EDM-TV.com’s rights in the User Content by a breach of these Terms of Service. (E) Moral Rights. If it is determined that you retain moral rights (including rights of attribution or integrity) in the User Content, you hereby declare that (a) you do not require that any personally identifying information be used in connection with the User Content, or any derivative works of or upgrades or updates thereto; (b) you have no objection to the publication, use, modification, deletion and exploitation of the User Content by EDM-TV.com or its licensees, successors and assigns; (c) you forever waive and agree not to claim or assert any entitlement to any and all moral rights of an author in any of the User Content; and (d) you forever release EDM-TV.com, and its licensees, successors and assigns, from any claims that you could otherwise assert against EDM-TV.com by virtue of any such moral rights. You also permit any other user to access, view, store or reproduce the User Content for that user’s personal use. EDM-TV.com is under no obligation to edit, delete or otherwise modify User Content once it has been submitted to EDM-TV.com. EDM-TV.com shall have no duty to attribute authorship of User Content to you, and shall not be obligated to enforce any form of attribution by third parties. The Site contains copyrighted material, trademarks and other proprietary information, including, but not limited to, text, software, photos, video, graphics, music and sound, and the entire contents of the Site are copyrighted as a collective work under the United States copyright laws. EDM-TV.com owns copyright in the selection, coordination, arrangement and enhancement of such content, as well as in the content original to it. You may not modify, publish, transmit, participate in the transfer or sale, create derivative works, or in any way exploit, any of the content, in whole or in part. You may download copyrighted material for your personal use only. 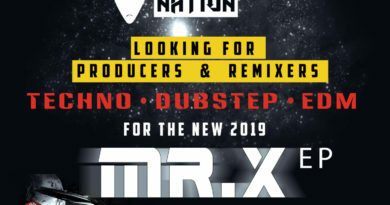 Except as otherwise expressly permitted under copyright law, no copying, redistribution, retransmission, publication or commercial exploitation of downloaded material will be permitted without the express permission of EDM-TV.com and the copyright owner. In the event of any permitted copying, redistribution or publication of copyrighted material, no changes in or deletion of author attribution, trademark legend or copyright notice shall be made. You acknowledge that you do not acquire any ownership rights by downloading copyrighted material. In many instances, the content available through the Site represents the opinions and judgments of the respective user or information provider not under contract with EDM-TV.com. EDM-TV.com neither endorses nor is responsible for the accuracy or reliability of any opinion, advice or statement made on the Site by any third party. Under no circumstances will EDM-TV.com be responsible or liable, directly or indirectly, for any loss or damage caused by your use or reliance on information obtained through the Site. EDM-TV.com is not responsible for any actions or inaction on your part based on the information that is presented on the Site. It is your responsibility to evaluate the accuracy, completeness or usefulness of any information, opinion, advice or other content available through the Site. Please seek the advice of professionals, as appropriate, regarding the evaluation of any specific information, opinion, advice or other content. EDM-TV.com may run advertisements and promotions from third parties on the Site. Your business dealings or correspondence with, or participation in promotions of, advertisers other than EDM-TV.com, and any terms, conditions, warranties or representations associated with such dealings, are solely between you and such third party. EDM-TV.com is not responsible or liable for any loss or damage of any sort incurred as the result of any such dealings or as the result of the presence of third-party advertisers on the Site. (A) YOU EXPRESSLY AGREE THAT USE OF THE SITE IS AT YOUR SOLE RISK. NEITHER EDM-TV.com, ITS PARENT, SUBSIDIARIES, ITS OTHER AFFILIATES NOR ANY OF THEIR RESPECTIVE EMPLOYEES, AGENTS, THIRD PARTY CONTENT PROVIDERS OR LICENSORS WARRANT THAT THE SITE WILL BE UNINTERRUPTED OR ERROR FREE; NOR DO THEY MAKE ANY WARRANTY AS TO THE RESULTS THAT MAY BE OBTAINED FROM USE OF THE SITE, OR AS TO THE ACCURACY, RELIABILITY OR CONTENT OF ANY INFORMATION, SERVICE, OR MERCHANDISE PROVIDED THROUGH THE SITE. (C) THE SITE MAY OFFER HEALTH, FITNESS, NUTRITIONAL AND OTHER SUCH INFORMATION, BUT SUCH INFORMATION IS DESIGNED FOR EDUCATIONAL AND INFORMATIONAL PURPOSES ONLY. THE INFORMATION CONTAINED ON THE SITE DOES NOT AND IS NOT INTENDED TO CONVEY MEDICAL ADVICE AND DOES NOT CONSTITUTE THE PRACTICE OF MEDICINE. YOU SHOULD NOT RELY ON THIS INFORMATION AS A SUBSTITUTE FOR, NOR DOES IT REPLACE, PROFESSIONAL MEDICAL ADVICE, DIAGNOSIS, OR TREATMENT. EDM-TV.com IS NOT RESPONSIBLE FOR ANY ACTIONS OR INACTION ON A USER’S PART BASED ON THE INFORMATION THAT IS PRESENTED IN THE SITE. (D) TO THE FULLEST EXTENT PERMISSIBLE BY APPLICABLE LAW, IN NO EVENT SHALL HAMMARICA.COM LLC, OR ITS PRESENT OR FUTURE PARENTS OR AFFILIATED COMPANIES, BE LIABLE TO YOU FOR ANY PERSONAL INJURY, PROPERTY DAMAGE, LOST PROFITS, COST OF SUBSTITUTE GOODS OR SERVICES, LOSS OF DATA, LOSS OF GOODWILL, WORK STOPPAGE, COMPUTER AND/OR DEVICE OR TECHNOLOGY FAILURE OR MALFUNCTION OR FOR ANY FORM OF DIRECT OR INDIRECT, SPECIAL, INCIDENTAL, CONSEQUENTIAL, EXEMPLARY OR PUNITIVE DAMAGES BASED ON ANY CAUSES OF ACTION ARISING OUT OF USE OF THE SITE OR ANY ALLEGED FAILURE OF PERFORMANCE, ERROR, OMISSION, INTERRUPTION, DELETION, DEFECT, OR DELAY IN SERVICE, OPERATION, OR TRANSMISSION OF THE SITES, OR ANY ALLEGED COMPUTER VIRUS, COMMUNICATION LINE FAILURE, THEFT OR DESTRUCTION OF PROPERTY, AND/OR UNAUTHORIZED ACCESS TO, ALTERATION OF, OR USE OF OR POSTING OF ANY RECORD, CONTENT, OR TECHNOLOGY, PERTAINING TO OR ON THE SITES. YOU AGREE THAT THIS LIMITATION OF LIABILITY APPLIES WHEHER SUCH ALLEGATIONS ARE FOR BREACH OF CONTRACT, TORTIOUS BEHAVIOR, NEGLIGENCE, OR FALL UNDER ANY OTHER CAUSE OF ACTION, REGARDLESS OF THE BASIS UPON WHICH LIABILITY IS CLAIMED AND EVEN IF HAMMARICA.COM LLC OR ITS PRESENT OR FUTURE PARENTS OR AFFILIATED COMPANIES HAS BEEN ADVISED OF THE POSSIBILITY OF SUCH LOSS OR DAMAGE. 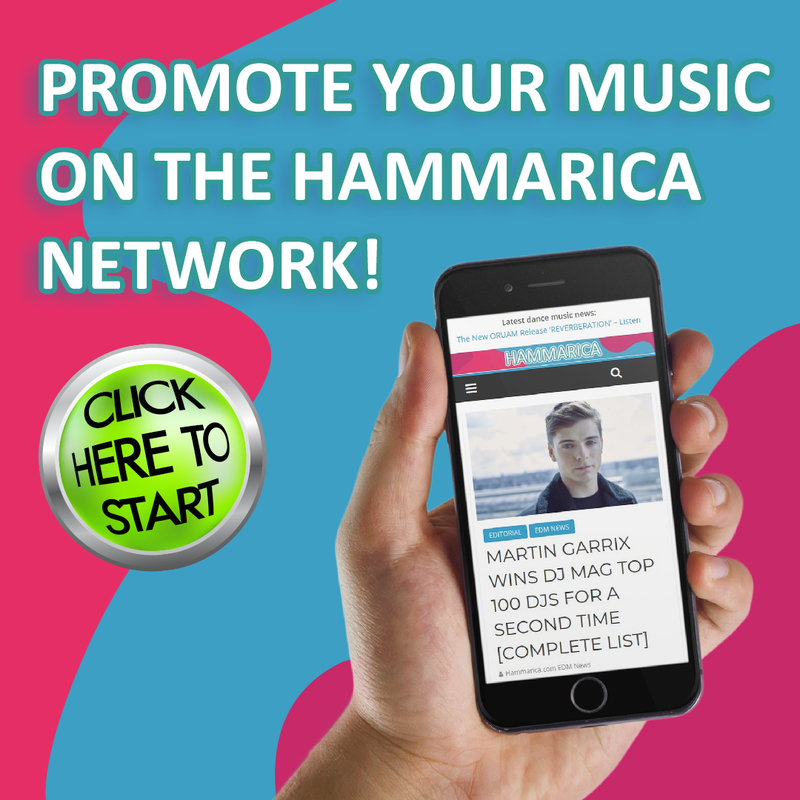 WITHOUT LIMITING THE GENERALITY OF THE FORGEOING, YOU ALSO SPECIFICALLY ACKNOWLEDGE THAT HAMMARICA.COM LLC AND/OR ITS PRESENT OR FUTURE PARENTS AND AFFILIATED COMPANIES ARE NOT LIABLE FOR ANY ACTUAL OR ALLEGED DEFAMATORY, OFFENSIVE, OR ILLEGAL CONDUCT OF OTHER USERS OF THE SITES OR ANY OTHER THIRD PARTIES. (G) EDM-TV.com disclaims any and all liability of any kind for any unauthorized access to or use of your personally identifiable information. By accessing the Site, you acknowledge and agree to EDM-TV.com’s disclaimer of any such liability. If you do not agree, you should not access or use the Site. You agree to defend, indemnify and hold harmless EDM-TV.com, its affiliates and their respective directors, officers, employees and agents from and against all claims and expenses, including attorneys’ fees, arising out of the use of the Site by you or your Account. EDM-TV.com reserves the right to take over the exclusive defense of any claim for which we are entitled to indemnification under this Section. In such event, you shall provide EDM-TV.com with such cooperation as is reasonably requested by EDM-TV.com. EDM-TV.com may terminate or suspend these Terms of Service at any time without notice to you. Without limiting the foregoing, EDM-TV.com shall have the right to immediately terminate Your Account in the event of any conduct by you which EDM-TV.com, in its sole discretion, considers to be unacceptable, or in the event of any breach by you of these Terms of Service. The provisions of Sections 1 — 13 shall survive termination of these Terms of Service. EDM-TV.com, its parent, subsidiaries and affiliates, own all rights to their logos and trademarks used in connection with the Site. All other logos and trademarks appearing on the Site are the property of their respective owners. Any and all disputes, claims and controversies arising out of or in connection with your access to, and/or use of the Sites, and/or the provision of content, services, and/or technology on or through the Sites shall be governed by and construed exclusively in accordance with the laws and decisions of the State of Washington applicable to contracts made, entered into and performed entirely therein, without giving effect to its conflict of laws provisions. In the event of a dispute, claim, or controversy arising out of or in connection with your access to, and/or use of the Site, and/or the provision of content, services, and/or technology on or through the Site, EDM-TV.com or you must give the other notice of the dispute, claim, or controversy which notice will include a brief written statement that sets forth the name, address, and contact information of the party giving it, the facts giving rise to the dispute, claim, or controversy and the relief requested. You must send any such notice to EDM-TV.com by email to copyright@hammarica.com AND by U.S. Mail to Hammarica.com LLC 5612 Roosevelt Way NE C4, Seattle WA 98105, United States. To the extent that EDM-TV.com has your contact information, it will send any such notice to you by U.S. Mail, or otherwise to your email address. EDM-TV.com and you will attempt to resolve any dispute, claim, or controversy through informal negotiation within thirty (30) days from the date that any notice of dispute, claim, or controversy is sent. EDM-TV.com and you shall use reasonable, good faith, efforts to settle any dispute, claim, or controversy through consultation and good faith negotiations. After 30 days, EDM-TV.com or you may resort to the other alternatives described in this Section. Notwithstanding the foregoing, the notice and 30 day negotiation period required by this paragraph shall not apply, however, to disputes, claims, or controversies concerning patents, copyrights, moral rights, trademarks, and trade secrets and claims of piracy or unauthorized use of the Sites. If any court or arbitrator determines that the class action waiver set forth in this paragraph is void or unenforceable for any reason or that arbitration can proceed on a class basis, then the disputes, claims or controversies will not be subject to arbitration and must be litigated in federal court located in Seattle, Washington. The terms of this provision will also apply to any claims asserted by you against any parent or affiliated company of EDM-TV.com to the extent that any such claims arise out of your access to, and/or use of the Site, and/or the provision of content, services, and/or technology on or through the Site. Neither EDM-TV.com nor you shall be liable for damages or for delays or failures in performance resulting from acts or occurrences beyond their reasonable control, including, without limitation: fire, lightning, explosion, power surge or failure, water, acts of God, war, terrorism, revolution, civil commotion or acts of civil or military authorities or public enemies: any law, order, regulation, ordinance, or requirement of any government or legal body or any representative of any such government or legal body; or labor unrest, including without limitation, strikes, slowdowns, picketing, or boycotts; inability to secure raw materials, transportation facilities, fuel or energy shortages, or acts or omissions of other common carriers. Hammarica.com LLC, 5612 Roosevelt Way C4, Seattle WA 98105 United States.